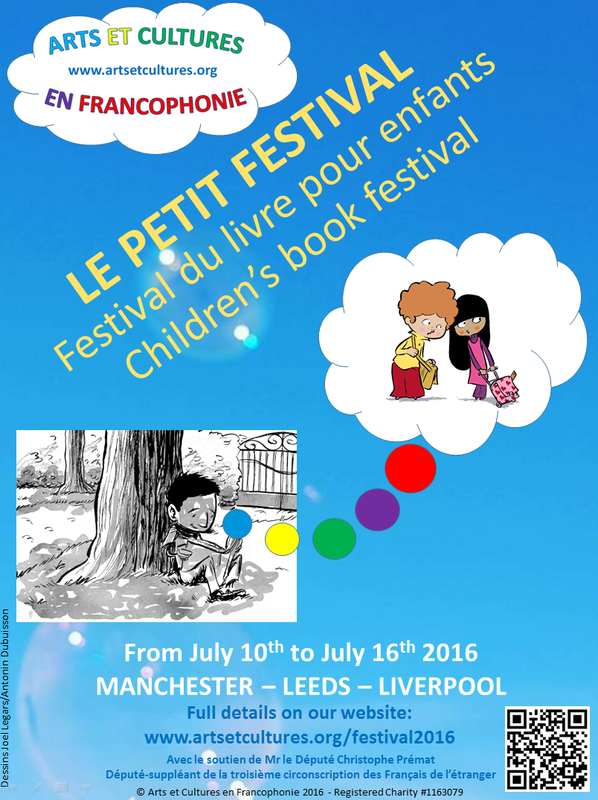 The first edition of our children’s book festival will take place around Manchester, Leeds and Liverpool from July 10th to July 16th. It will start during the Altrincham French Festival on Sunday July 10th. All activities and animations are free and open to everyone. Reading is an important component in the transmission of a language and a culture. The bed time story, read by mum or dad, or even by the child, is a privileged moment of sharing and discovery, a precious bubble where a child can let imagination take the reins! For this first festival, the emphasis will be on exchanging, reading aloud and meeting. A number of events will be happening around Manchester, Leeds and Liverpool! We are lucky this year to welcome two French illustrators who will take part in some of the workshops. A full programme for the week is now online, listing the various animations, readings, meetings with authors, every day, open to everyone, and above all free! This wonderfull week will come to a close on Saturday July 16th in Burnage with a day of children shows and plays, open to everyone. We would like to thank all our partners for making this possible. For more details, please follow us on Facebook, and keep an eye on our blog!